People from all over the world make the Tupper Lake / Saranac Lake / Lake Placid Olympic Region a four-season vacation destination. The 9000-square mile Adirondack Park in northern New York State is the largest natural sanctuary in the lower United States. The 1894 “Forever Wild” article of the New York State Constitution makes this area the oldest continual and successful constitutionally protected preserve in the world. More than one million acres of the Park are designated as wilderness areas, making the Adirondack region an unspoiled treasure for hikers, hunters, canoeists, fishermen and seasonal recreationists. 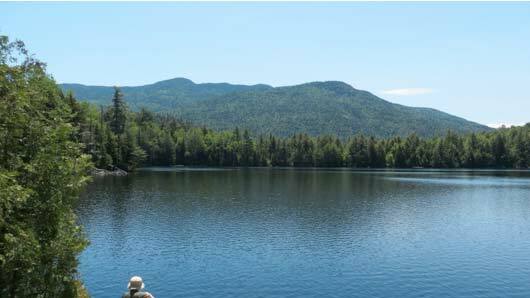 Five major drainage basins create 3000 Adirondack lakes and ponds, with tens of thousands of miles of cold, clear rivers, streams and rills. Ancient mountain ranges are traversed by over 360 miles of maintained trails and uncharted herd paths. Glaciers that covered the area ten thousand years ago scoured ridges and dammed lakes, creating extensive hardwood ridges and wetlands among the conifer-covered mountains. 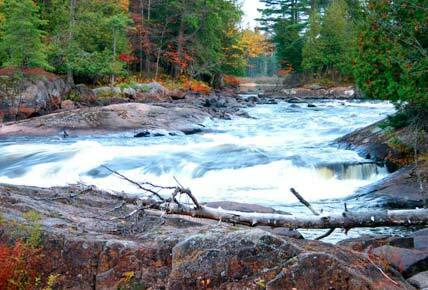 Whatever you hope to find in a wild northern forest is waiting for you in the Adirondacks. Come and visit! Some dates to be announced. Classes are gender-neutral. Minimum and maximum group sizes apply. Registration does not include meals or lodging. 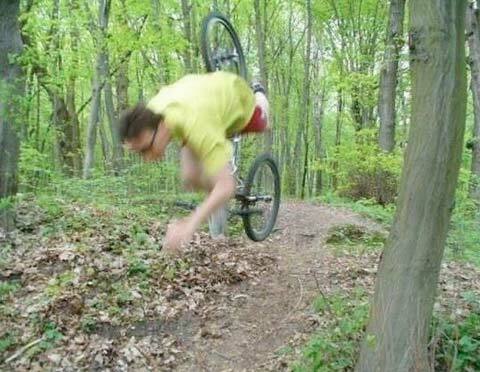 Adventure “off-road”! 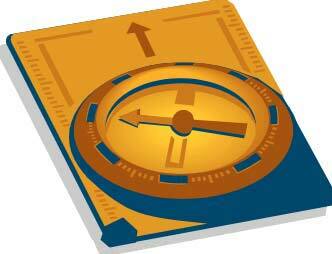 Become familiar with maps and orienteering compasses. Develop skills that let you hike a trail, visit a remote pond, or bushwhack to a summit. Classroom desktop learning is combined with outdoor team activities. No prior experience needed. 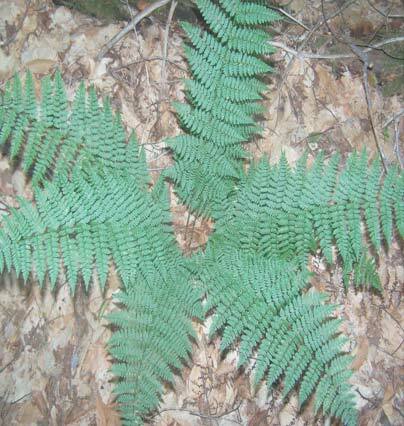 Explore ferns & fern allies, flowering plants, trees and shrubs. Where do they grow? Why do they grow there? 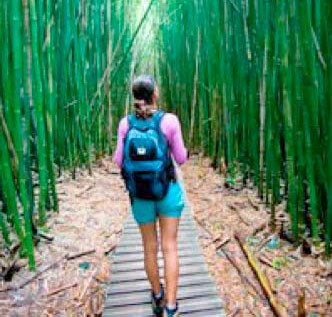 Walk on well-maintained trails with lots of opportunities to study and photograph flora. Enjoy varied ecology, forest solitude, and scenic vistas on 3000 acres and 6 miles of interconnecting interpretive trails. Visit the Paul Smiths Visitor Interpretive Center (VIC) while you’re there!. Become familiar with back-country safety preparedness and basic survival techniques; methods of setting up safe and environmentally sound emergency camps; gear and clothing selection; food preparation and safe handling; nutrition and hydration requirements; fire starting; water purification; and personal and camp sanitation. 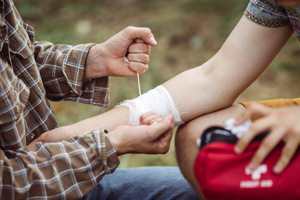 This is a first aid certification class with learning centered on common back-country illnesses and/or injuries, and suggestions and demonstrations for first aid care for one day or a few days. Emphasizes risk assessment, accident prevention and emergency preparedness. Limited registration. It’s not a long hike, but it’s a beautiful wilderness spot with great swimming. Set up a safe and environmentally sound tent camp; review gear and clothing selection; practice food preparation and safe handling; practice fire starting and water purification. Limited registration. Become familiar with land-use classifications, environmental laws, and rules regulating the High Peaks. 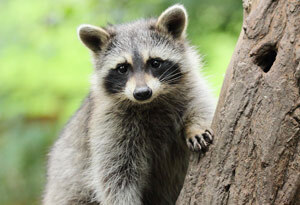 Become familiar with basic emergency preparedness, development of checklists, handling emergencies, dealing with critters in a safe and effective manner, and hiking in special environments. Develop group leadership skills. Limited registration. This is a first aid certification class with learning centered basic First Aid and Adult CPR/AED. Acquire basic knowledge, skills and attitudes necessary to care for emergencies – from breathing and cardiac emergencies, to caring for bleeding, sudden illness and injuries. A steep little hike, 5.6 miles round-trip, with an ascent similar to that of the Adirondack High Peaks. 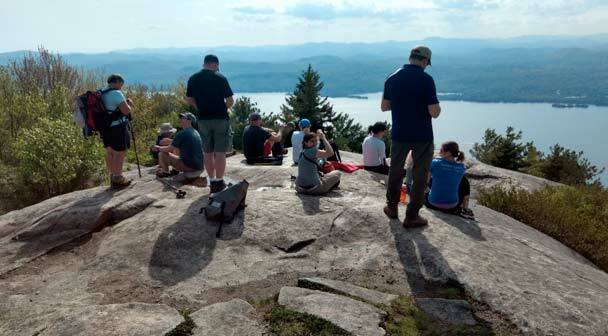 From Clay Meadow, the hike takes us to open ledges with views to the east across Lake George and several summits. A resting spot and lunch at Fifth Peak Lean-to is reached at the turn-around point. There are awesome views here, and the Adirondack lean-to is authentic. Chapters include hiking & camping; clothing; nutrition; navigation; fauna; tracking; flora; invasive species; illness; wilderness first aid; survival; cold weather survival; Adirondack High Peaks geology; ad more!